MANILA, Philippines - It's all in the messaging. To Sen Serge Osmeña, known for his keen understanding and analysis of surveys and numbers, former Akbayan Rep Risa Hontiveros and former senator Jun Magsaysay lost for the same reason: Neither stuck to their message. Osmeña, who provided the two with help in their campaigns, studied and diced data for the two bets to find the message or issue most suited to them. "Campaigining is a very simple thing. The first thing you do is determine what you're going to tell the people to make them want to vote for you. That's your message. If your message is wrong or not credible to you, you're already off," he said. 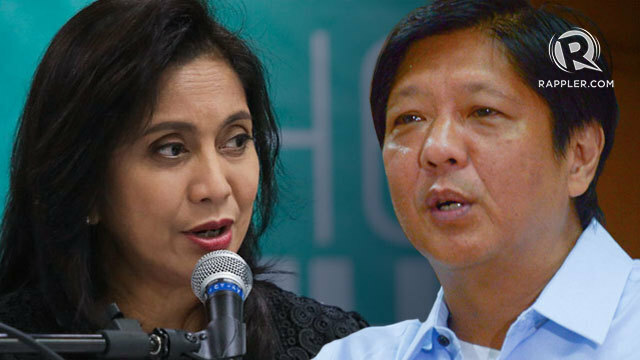 The veteran senator found that for Hontiveros, it was her fighter attitude that attracted voters, while for Magsaysay, it was his last name and the idea of having been tried and tested — borne of his extensive experience from 12 years in the Senate. But the two had trouble delivering their messages, or sticking to it. According to the official count of the Commission on Elections, Hontiveros who ranked 18th in initial surveys, finished 17th with 10,840,047 votes, while Magsaysay, who started at 15, ended a notch higher than Hontiveros at 16th with 11,252,335 votes. Osmeña also helped former censors chief Grace Poe — who topped the senatorial race with 20,147,423 votes after being ranked 20th in the beginning — and presidential cousin Bam Aquino, who finished 7th from 17th, with 15,388,992 votes. Of the 12 final winners, Poe and Aquino were the only ones initially not within the top 12 but who ultimately made it. The 4 were members of the administration slate, Team PNoy, whom Osmeña said he helped because he "felt [they] deserved to be in the Senate." Osmeña is an independent, but has been close to the Aquino family for decades. He was first elected to the Senate in 1995. When his term ended in 2001, he won another 6-year term until 2007. 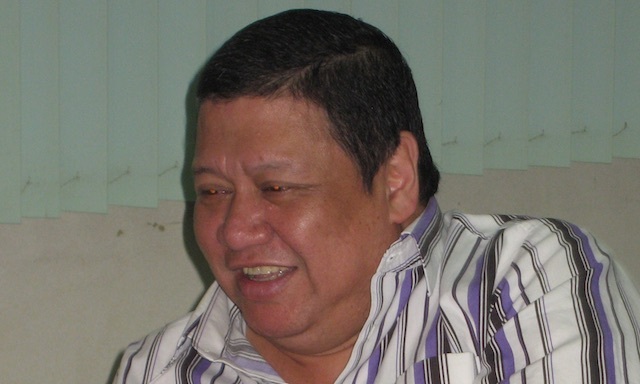 After a 3-year break, Osmeña successfully won a senatorial seat in 2010. The senator said he chose to support Hontiveros and Magsaysay because he believed in their track record, work ethic and values. 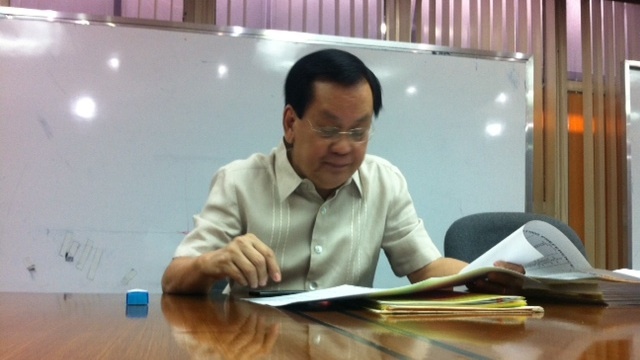 Osmeña lent his expertise in data analysis to help shape their campaigns. "I told Risa, your image is palaban, the message is 'I'm going to fight for you,'" Osmeña told Rappler. While Hontiveros used that image in several ads, Osmeña said she was not able to hammer it home because she also tried to appeal to her softer, gentler side. It showed in Hontiveros' numbers. The Aquino ally failed to make the Magic 12 in surveys, although a later Pulse Asia poll showed her within striking distance. Less than a month before elections, Hontiveros aired television ads that showed her using her shawl to fight corruption, reiterating her fighter image. "She tried to segue into that in the last 2 weeks of the campaign. It should have been that from the very beginning," Osmeña admitted. He said Magsaysay's failed campaign was also because of failure to deliver a clear message in a "cogent language." "He should've just stuck with 5 sentences: 'I am Jun Magsaysay. My father was a man of the masses. I have served in the Senate for years. This is what I've done. If you elect me again, this is what I'll do,'" Osmeña said. Unfortunately, Magsaysay was unable to do that, he said, confusing voters about what he stood for. Osmeña said more than the two candidates' tight budget and their few ads, the failure to deliver a clear, concise message was the problem. 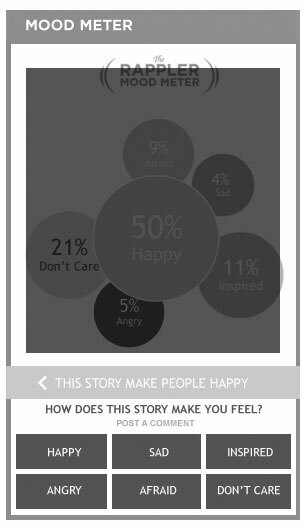 "That's why the 30 seconds must encapsulate your message. If you take a look at the ads, the winning candidates were able to communicate their message effectively. They told the people why they should vote for them," he said. At the victory party of Team PNoy, Hontiveros herself admitted she faltered in messaging. "I could have tightened my message more," she said. In contrast, Poe and Aquino — both of whom Osmeña helped out as well — did a better job sticking to their message. Osmeña found that Poe's association with her father, the late actor and presidential hopeful Fernando Poe Jr — specifically his propensity to help those in need — were what made her appeal to voters. He advised Poe to emphasize the message of helping the poor and continuing her father's legacy. "The most important thing was the message. If she didn't start with the right message she would've not taken off, but she did start and she stayed on message," Osmeña said. A look at Poe's television ads showed consistent messaging throughout, and projected her as her father's daughter. The strategy worked, and helped propel Poe to the top. As for Aquino, Osmeña said his messaging was simple. Voters liked Bam because he was a descendant of the Aquinos, who have been associated with service and sacrifice. He said Aquino generally followed his recommendation of sticking to the message, but was not as consistent as Poe. "Bam went off message because he was being the target of focus attacks from the other side who said, 'But Bam was with Gloria.'" He added, "They felt they had to respond to it with Bam going with kabuhayan and microfinance, and they went off message." Aquino, however, generally stayed with the image Osmeña recommended, which fueled him to a 7th place spot. In a Talk Thursday interview with Rappler, Aquino said he didn't want to change his platform just because it wasn't popular. He said he continued to push for negosyo para sa mahihirap or businesses for the poor even if it was not as glamorous or popular as other platforms, since it was what he truly believed in. He said he refused to change his platform "just because that's what people wanted to hear." But Osmeña said in election campaigns, "perception is more important than reality." "Even if it's true [that Bam stands for providing businesses], if people don't give him credit for it, it's useless. It might be the truest thing in the world but perception is more important," he said. After the elections, Osmeña said this is the time bets could focus on what they are passionate about — and push for issues important to them once they are senators. Because of this, Osmeña emphasized a candidate's image and messaging may change every election, depending on what the people associate them with during that point in time. He warned against simply leeching onto popular issues, especially when voters do not identify the bet with the issue, or see a credible connection between the two.